"How To Play Baseball Outfield" by Steven E. Michael is the most comprehensive reference book on the outfield position. Often overlooked by coaches, playing the outfield well requires the player to learn and execute the fundamentals. With 118 photos and diagrams, this book is a must-have for young players and coaches. 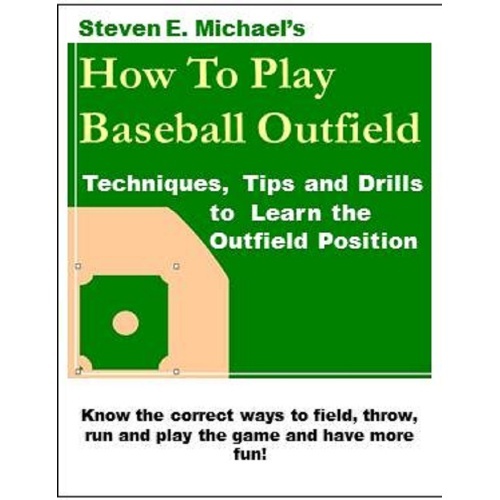 In his book, Coach Michael begins with the basics of fielding ground balls and fly balls. He further discusses in detail the best techniques for running and throwing: both are at a premium for outfielders. The book then describes more advanced aspects of playing the outfield, including how to get good jumps, the best ways to read a batted ball, and how to take correct angles. Getting to the fence and playing the fence is then explained in detail. Lastly, the book covers outfield communication, field priorities and team defense schemes. No other publication has the detail contained in Steven E. Michael's "How To Play Baseball Outfield". Throughout the book, Coach Michael talks about playing and coaching stories to help illustrate the book. Sometimes funny, but always entertaining, Coach Michael's anecdotes provide you with real-life perspectives of the game. THIS SELECTION IS IN PRINT FORMAT ONLY. THE PRICE INCLUDES SHIPPING COST. THIS PAPERBACK BOOK WILL BE MAILED TO YOU AFTER YOUR PURCHASE.